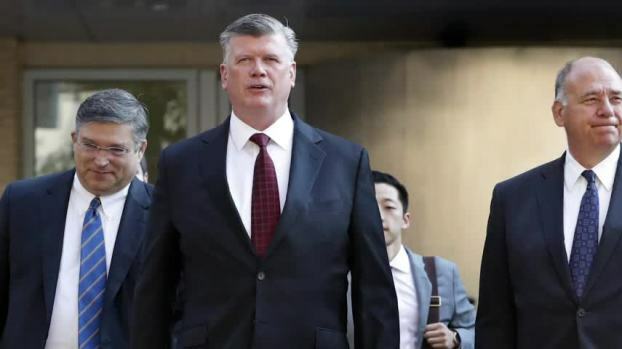 Asked by the judge whether he wished to testify in his defense, Manafort responded: "No, sir"
In this March 8, 2018, file photo, former Trump campaign manager Paul Manafort leaves the Albert V. Bryan U.S. Courthouse in Alexandria, Virginia, after an arraignment hearing. 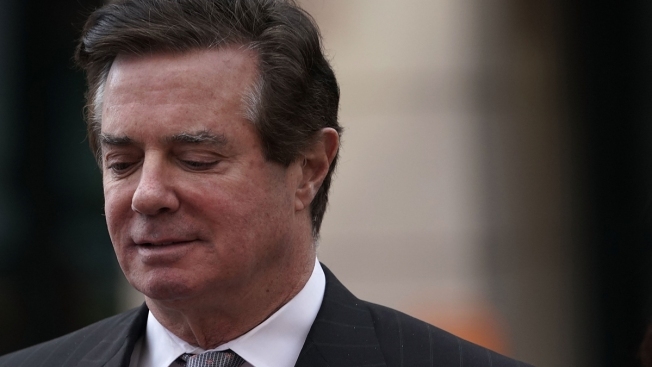 Paul Manafort's defense rested its case Tuesday without calling any witnesses in the former Trump campaign chairman's tax evasion and bank fraud trial. Manafort himself chose not to testify. The decision not to call witnesses clears the way for the jury to hear closing arguments in the first trial to emerge from special counsel Robert Mueller's investigation. The arguments are scheduled for Wednesday morning. The decision came after a more than two-hour hearing that was closed to the public. The judge has not given any explanation for the sealed proceeding, only noting that a transcript of it would become public after Manafort's case concludes. After announcing that they were resting their case, Downing told reporters outside the courthouse that "he did so because he and his legal team believe that the government has not met its burden of proof." Manafort's lawyers asked the judge to toss out all the charges against him, but they focused in particular on four bank-fraud charges. Manafort's lawyers argued there is no way that one of the banks, Federal Savings Bank, could have been defrauded because its chairman, Stephen Calk, knew full well that Manafort's finances were in disarray but approved the loan to Manafort anyway. Witnesses testified at trial that Calk pushed the loans through because he wanted a post in the Trump administration. Ellis, in making his ruling, said the defense made a "significant" argument, but ultimately ruled the question "is an issue for the jury." 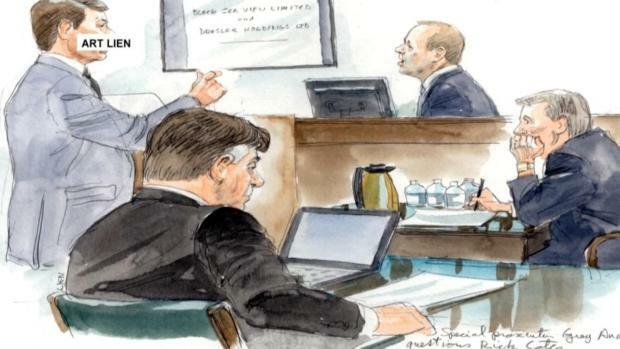 Prosecutors rested their case on Monday, closing two weeks of a testimony in which they introduced a trove of documentary evidence as they sought to prove Manafort's guilt on 18 separate criminal counts. 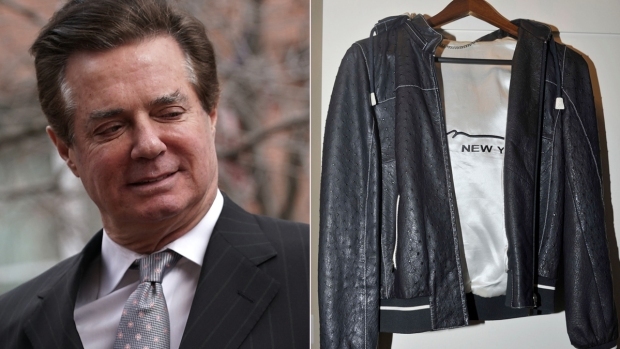 The prosecution depicted Manafort as using the millions of dollars hidden in offshore accounts to fund a luxurious lifestyle, and later obtaining millions more in bank loans under false pretenses. Trump has distanced himself from Manafort, who led the campaign from May to August 2016, with Gates at his side. Gates struck a plea deal with prosecutors and has provided much of the drama of the trial so far.